3 bedroom house in Bromley? Once home to such notables as H. G. Wells, Charles Darwin, Pitt the Elder, and David Bowie; Bromley attracts attention from savvy buyers looking for the leafy charms of a suburban village. It is recognized as one of the happiest places to live in London. So if you're looking for a 3 bedroom house in Bromley, you've come to the right place. The following is a guide as to which areas of Bromley you should consider, what to look for in your dream house and quick access to all the 3 bed options we currently have available in Bromley which you can see by clicking here. Bromley boasts a number of outstanding state and grammar schools, a diverse selection of hospitals, and over 250 different local restaurants. From miles of cycle routes, greenspace, and Queen’s or Church House Gardens, to your choice of theatres, dance and comedy clubs, and shopping centres, the area offers a range of reasonable property prices and a variety of attractions. Bromley provides multiple housing options near convenient rail stations. Just a 15-20 minute trip from Victoria, Bromley South rail station (zone 5) is surrounded by purpose-built flats whereas detached homes built in the twenties feature in Bickley. Near the Bromley North station (zone 4) you’ll find the charming Victorian cottages of Bromley Old Town. Shortlands has a mix of Victorian, Edwardian, and Twenties semis; while more expensive homes congregate near the Sundridge Park station. Bromley Common has no station but is popular with first-time buyers looking for affordable 2 to 3 bedroom houses. Is the house damp, mouldy, or dry? If the rooms were repainted but plaster is still flaking and the closets smell of mould, we may be able to negotiate for damp remediation. One in three homes have some form of damp. Is the house safe and sound? If the window sills aren’t level, the walls bow, and the ceilings have major cracks, get a structural engineer to verify that the building is sound. All houses settle, but a crack as wide as your finger is a warning sign. Is the house facing north or south? If you view the house on a grey day you might not notice a lack of light, but your houseplants definitely will. Are the rooms staged? If furnishings seem sparse, while fresh baked biscuits, crackling fires, and cleverly placed mirrors draw your attention away from the size of the rooms – take another look at the space. Bring along a measuring tape, and do some rough sketches to ensure it will work with your furnishings. Is the double-glazing done-for? If the old windows are in rough shape, chances are the rest of the house is neglected too. You want solid frames and no condensation between the panes. Is the roof in good shape? If you’re uncertain, make sure the roof is less than 10 years old and in good shape. Replacing a roof can be expensive, but a badly-leaking roof might be a negotiating point to decrease the asking price. Are the neighbours loud? If you can hear every word though the walls, then so can they. Ask to turn on the stereo, and check the quality of the sound-proofing and insulation. Is the wiring in a good state? If you need to rewire, update the fuse box, and add power points, you could be looking at more of an investment than you bargained for. Bringing old wiring up to code usually means a down-to-the-studs remodel. Is the plumbing up to standard? If the boiler's new, the water pressure OK, and the pipes not lead based, you should be fine. Do check the age of the hot water tank, but you can easily budget for replacing that. Is there proper drainage? If you’re a keen gardener planning a future conservatory, water damage could undermine your plans. A structural survey detailing the locations, levels, and functionality of external drains is a good idea. Are the white goods included in the price? If you want all-new appliances this might not be an issue, however it's something to consider when calculating the cost. Ask for a list of any items excluded from the sale. Is there room to add cupboards and shelves? If not your vacuum cleaner, seasonal decorations, and junk boxes might be homeless in this house. Does it feel like your future home? If you find a that you like, make sure to look at it more than once and at different times of day. If you're viewing a house with us here at Edward Ashdale, we will be happy to arrange a second viewing to help you decide. 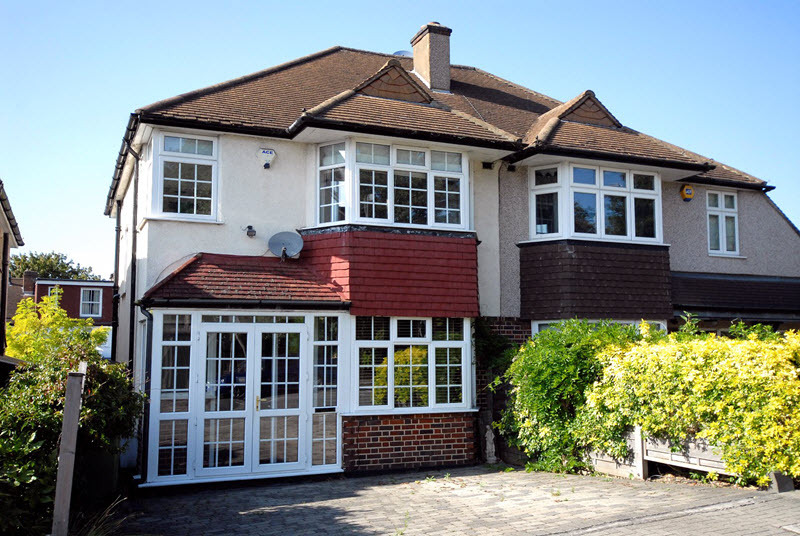 Finding your ideal home in Bromley has never been easier. Browse through all our current 3 bedroom listings by clicking here and then call us on 020 8466 8445 to arrange a viewing. Armed with the above questions and information, you'll be in the ideal situation to find the home of your dreams. We look forward to helping you with your search in any way possible.